Memorable holidays are all about having as many different experiences as possible and what better way to enjoy your trip than by trying out adrenaline-fuelled watersports abroad? With a wide range of luxury properties located all over the world, we have hand-selected a few of our hotels in beautiful coastal destinations where you can experience the open sea and all it has to offer. As Jordan's only coastal city, Aqaba is well known for its watersports opportunities, particularly scuba diving. Based at the northern tip of the Gulf of Aqaba that feeds into the Red Sea, the city's pristine coral reefs are renowned the world over. SeaStar Water Sports are critically acclaimed and provide accredited training courses for beginners as well as both shore and boat-based diving. By choosing boat-based diving, visitors can see the eerie Taiyong shipwreck in a region home to over 200 coral species and more than 1,000 species of fish. When planning your trip to Aqaba, consider staying at Kempinski Hotel Aqaba. Based 932 miles east of the African mainland, the Seychelles are ideal for leaving your normal day to day life behind, especially at Kempinski Seychelles Resort. The largest island, Mahé features a great range of watersports activities from scuba diving and snorkelling, to windsurfing and water skiing. If you are a beginner, try snorkelling at Sainte Anne Marine National Park, the Indian Ocean's very first Marine Protected Area, designated in 1973. 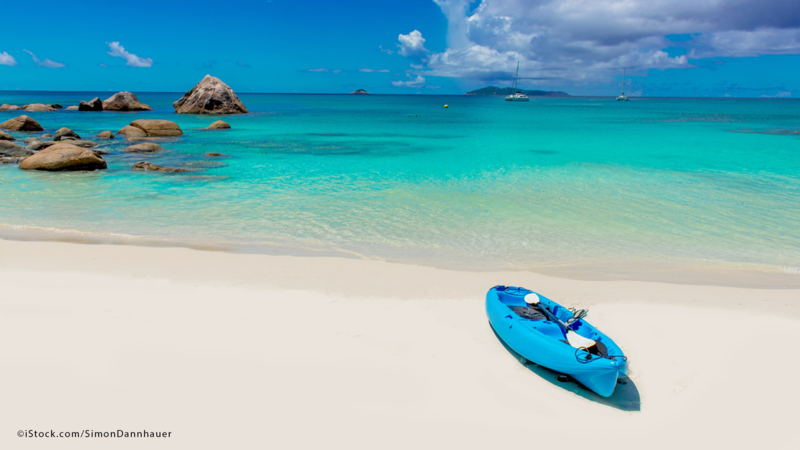 Cerf Island, within the marine national park, is surrounded by shallow turquoise water, where visitors have the chance of seeing hawksbill turtles, tropical fish and starfish. Despite being famous for its grand collection of canals, Venice should also be considered when it comes to watersports - if you love kayaking this city should definitely be one to visit. One of the best ways to explore the city is by a one or two-person kayak, small and nimble enough to navigate Venice's iconic narrow waterways. Venice Kayak offers a wide variety of boat tours, with some including commentary on the city’s history and others navigating through the Venetian lagoon, all of which take place at different times of the day. Whichever you choose, a day of paddling through the city is sure to build up an appetite for a delicious meal in one of the city’s best restaurants. If you are interested in visiting Venice, book your stay at San Clemente Palace Kempinski. You will be amazed by the huge amount of watersports available within walking distance from Kempinski Palm Jumeirah, Dubai. This man-made archipelago is home to scuba diving, sailing and jet skiing but also the more modern activity of flyboarding. Invented in France by Franky Zapata in 2012, there really is nothing else like it. Custom jet nozzle boots are connected to pressurised water to launch riders into the air. Quite literally an uplifting experience, enjoy Dubai's famous skyline from a unique and different angle! Only a modest fishing village before, Savudrija is now one of the most popular watersports centres in all of Istria. That said, part of the region’s charm is the fact that the area is developing. The low lying coastline and strong south wind off the Adriatic Sea makes wind surfing particularly popular in this area of Croatia. 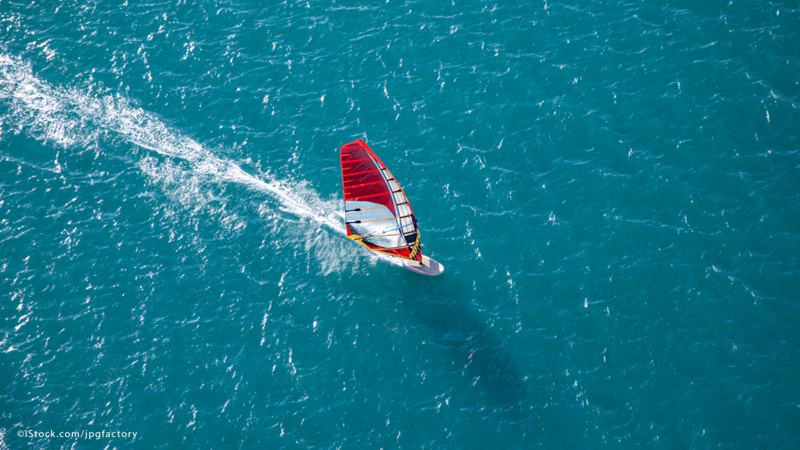 Given the strength of the sea winds in autumn and spring, not to mention the greater skill level required compared to other watersports, windsurfing here is best left to experienced enthusiasts. Stay at Kempinski Hotel Adriatic during your visit to Istria. If you want to find out more about the different kinds of watersports on offer at each of our coastal destinations in the Kempinski portfolio, our friendly concierge teams will be more than happy to assist you.